In order to get your driving licence and legally drive on your own in the UK, you have to pass both your theory and practical driving tests. You can hold a provisional licence for a moped, motorbike or car from the age of 15 years and 9 months old, and start driving lessons from the age of 17. If you’re studying to pass your theory, or are working towards your practical test, we have compiled information to help you to book, study and get your licence. How can I revise for a theory test? There are a number of sites, apps and books to help you revise for your theory test. The central point of reference for study should always be the Highway Code, which has ALL the answers to the questions in the theory test and is required reading for all new drivers. How do I know when I’m ready for a theory test? 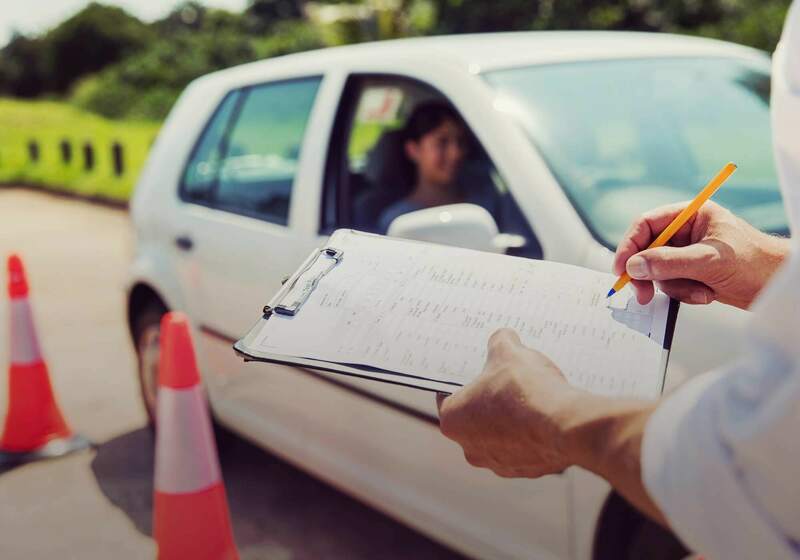 When you’re able to successfully pass a majority of your mock theory tests, and feel you have a good understanding of road safety, you’re most likely ready to book your theory test. You can book your test through the GOV.uk website, which will allow you to book for the closest location to you. Test centres offer options to book very far in advance, so it is a good idea to choose a date as early as possible to make sure you get a time and date which suits you. What should I do on the theory test day? Keep calm – It might be stressful and it’s normal to feel anxious when sitting your first exam, so just take a deep breath and try to relax yourself before the test. Leave yourself plenty of time so that you don’t have to rush. Bring your provisional licence – In order to sit your theory exam you MUST bring your provisional licence. Make absolutely certain you have this with you before you leave the house. Use all of the allocated time – Even if you think you’re finished early, take advantage of the extra time and double check all of your answers. Flag questions to come back to – If you come across a difficult question you can’t quite think of the answer to, flag it and come back to it at the end. This means you won’t spend too much time on one question and miss out on answering others. What should I do if I pass my theory test? When you finish your test, the examiner will print out a piece of paper and fold it over before giving it to you, revealing whether you passed or failed your test. If you pass, congratulations! Make sure you keep this safe, and bring the paper with you to your practical test, as you’ll need to show it in order to sit the practical exam. What should I do if I fail my theory test? Don’t be discouraged. Make sure to book another test as soon as you can and brush up on your revision before you sit the test again. How can I revise for a practical test? How many lessons you need to take before you’re ready greatly depends on how quickly you pick up the skill, and how well you handle the different situations that you encounter during lessons. There’s a handy form on the GOV.uk website which allows you to track your progress during lessons, and will help give you an indication as to when you’ve learnt enough to apply for your practical exam. Booking your practical exam is done the same way as your theory exam, through the government website. Simply fill out the form and select your chosen test centre at a time and date that’s best for you. Similarly to the theory test, dates can be booked up very quickly so book ahead. What should I do on the practical test day? Bring your provisional and theory test information – In order to sit a driving practical test you will need to your provisional licence and theory test certificate with you. Keep calm – Make sure you get to the test centre early and try to keep as calm as possible when you drive. If you start feeling anxious, take a moment for a deep breath. During the test your examiner will instruct you where to go, and will be happy to repeat any instructions if you don’t understand something. Remember that mistakes you make might just be minor, rather than major, meaning that you can still pass the test. Know your car inside and out – Before your test, make sure you’re fully aware of how to find things like your dipstick, brake and engine coolant levels, as well as knowing where you add your windscreen washer fluid, as this is used on a more regular basis – and empties the quickest. Why? Well, you’ll be asked a few questions, which might involve these elements, before you set off. What should I do if I pass my practical test? After your exam the examiner will sit with you and explain whether you passed or failed the test. If you pass, you’ll then be given a certificate, which will double as your driving licence until the official licence arrives some time after. Your instructor will normally be happy to have further lessons with you after you pass to help you tackle more advanced driving like motorway driving. You can also do a Pass Plus. which is a Government approved scheme to help with these aspects of driving. What should I do if you I fail my practical test? If you fail, the examiner will sit and talk through the reasons why. Following this you can book your next test as soon as you wish. Make sure to bring your feedback with you to future driving lessons as your instructor will be able to help you brush up before your next test. The driving test was changed in 2017 to reflect the gaps in recent statistics. You’ll be better off, if you make sure to practice country roads, high-speed dual carriageways and have a go at a sat-nav before the test – it’s all about staying alert for the unexpected and being able to pay attention to multiple things while driving. Hopefully it won’t be long until you have successfully attained your full licence, and are free to enjoy driving unaccompanied in your own car.